Cortina is a wellness resort at zero impact. Some alpine huts offer alternative wellness services … at high altitude! 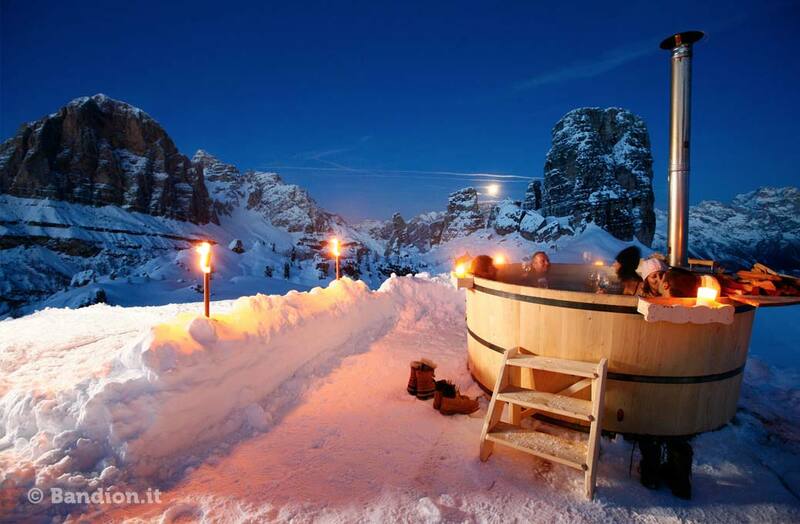 Such is the case of the highest barrel sauna of the Dolomites, (located on top of the Lagazuoi mountain at 2752 m ! ), the Finnish sauna at the Croda da Lago Rifugio (alpine hut) on Lake Federa, and the barrel sauna of the Scoiattoli Rifugio. These structures are simply heated by wood, located in some of the most beautiful spots in Cortina.